Visakhapatnam: Railway Minister Suresh Prabhu today flagged off two trains and laid the foundation of a railway facility, in different parts of the country, at Rail Sadan here through video conference. 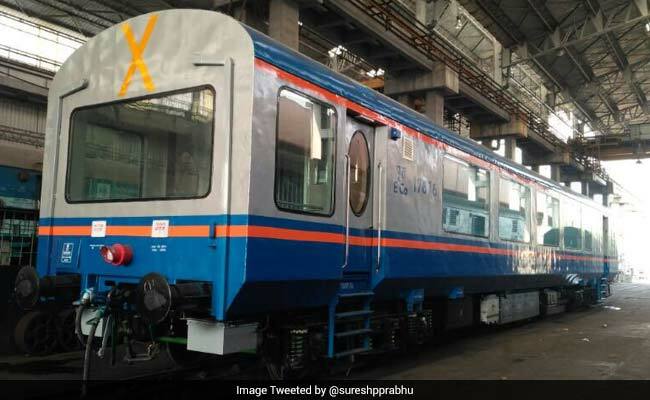 Mr Prabhu, who is in the Odisha capital to attend the Bharatiya Janata Party's national executive meeting, flagged off the Life Line Express at Sindhudurg (Maharastra) and said it would be of great help for poor patients. He also flagged off a train with Vistadome coach between Visakhaptnam and Araku, saying the new coach, having features like glass roof, LED lights, rotable seats, GPS-based information system among others, would be of great enjoyment for tourists. Mr Prabhu also laid the foundation of a mechanised laundry under BOOT model at Visakhapatnam which, he said, would improve the quality of linen. The railways minister also shared images of the new coaches on microblogging site Twitter. 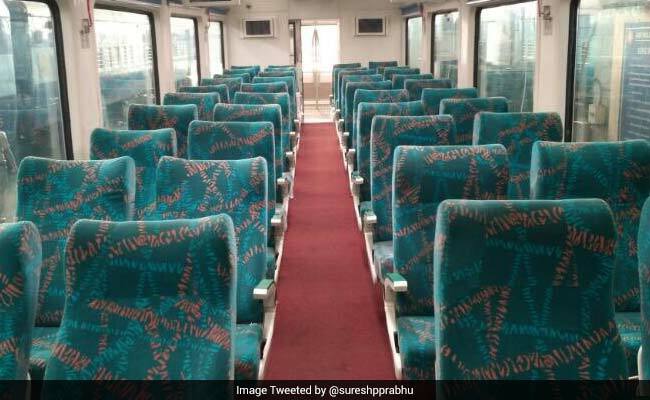 "Glad to share pictures of new vistadome coaches having features like glass roofs,LED lights,rotatable seats,GPS based info system etc.," the minister said in a tweet.